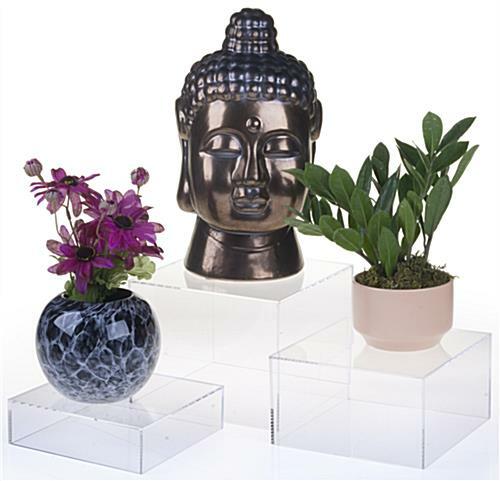 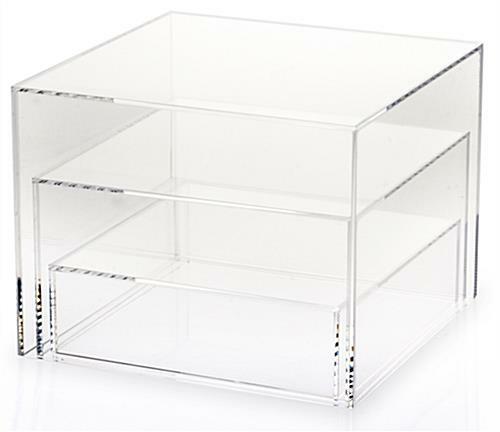 These clear acrylic risers are ideal for retail showcase purposes. 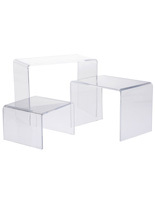 The cubes are designed to fit together in a nesting fashion for storage or configuration on a table. 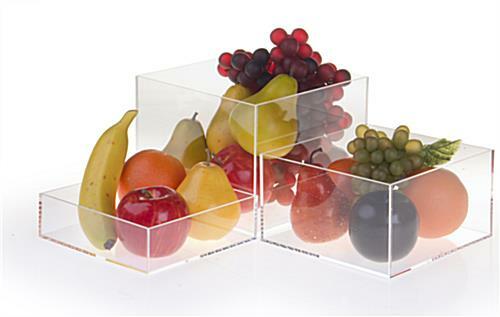 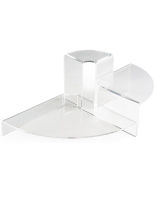 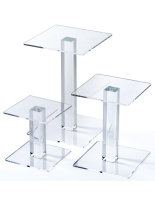 The rounded acrylic risers are made from durable plastic and can withstand the weight of accessories or small products. 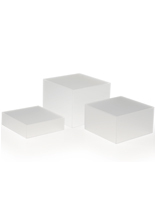 Each set of display risers have hollow bottoms for use of lights or color backdrops. 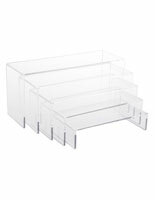 Order the riders for your store today! 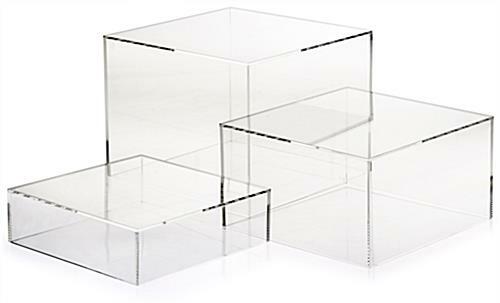 6.8" x 2.0" x 6.8"
7.3" x 4.0" x 7.3"
7.8" x 6.0" x 7.8"